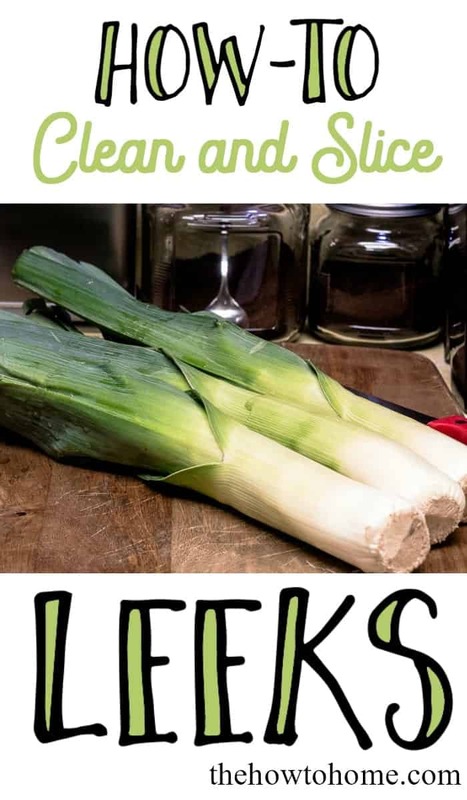 Leeks are a delicious mildly flavored vegetable similar in taste to an onion. They add a wonderful delicate flavor to many dishes. 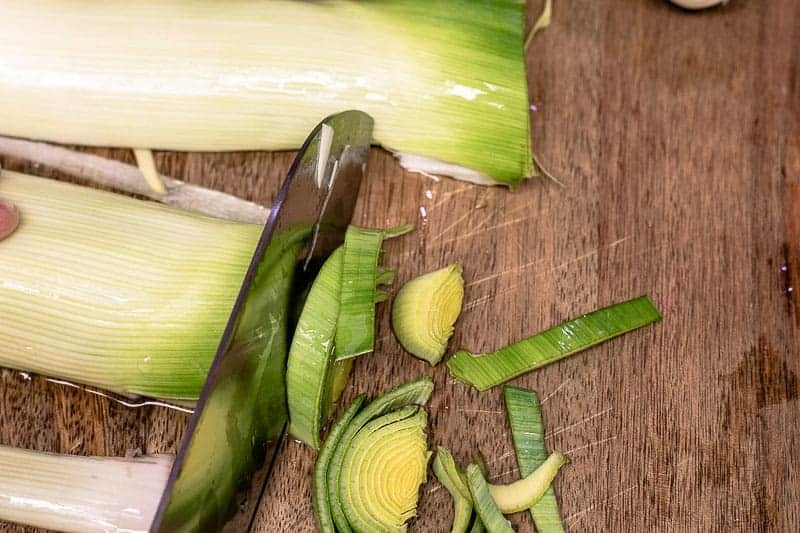 Before using them in a recipe, you’ll want to know the basics including how-to clean and slice leeks. 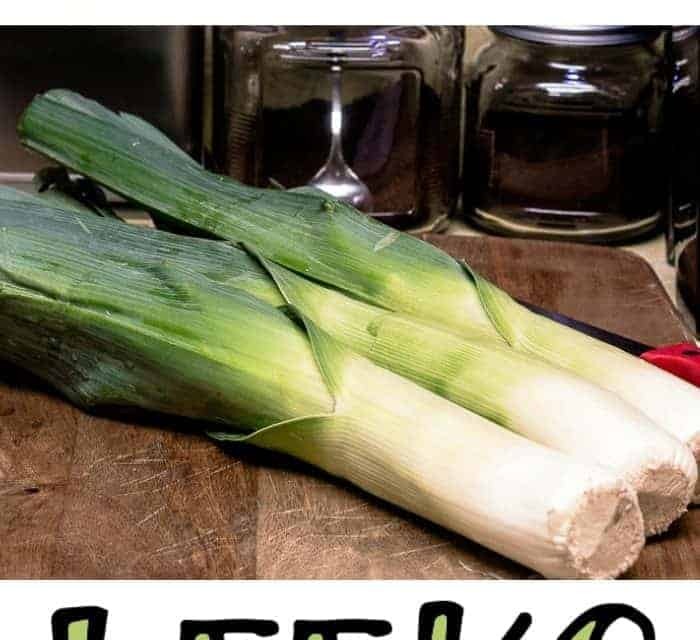 Leeks have a mild taste similar to onions. They can be eaten raw and have a crunchy and firm consistency. The dark green portion above the base is usually discarded because of its texture, which is somewhat tough, but it can be cleaned and added to soup stock. 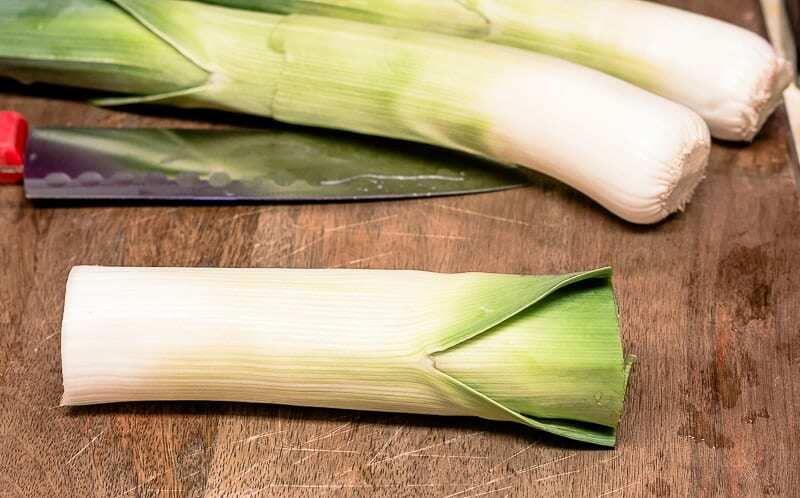 You’ll want to look for leeks that have a crisp and firm bundle of leaf sheaths which are sometimes referred to as stalks. The lower portion of the leek, the bundle, should have as much white and light green as possible. 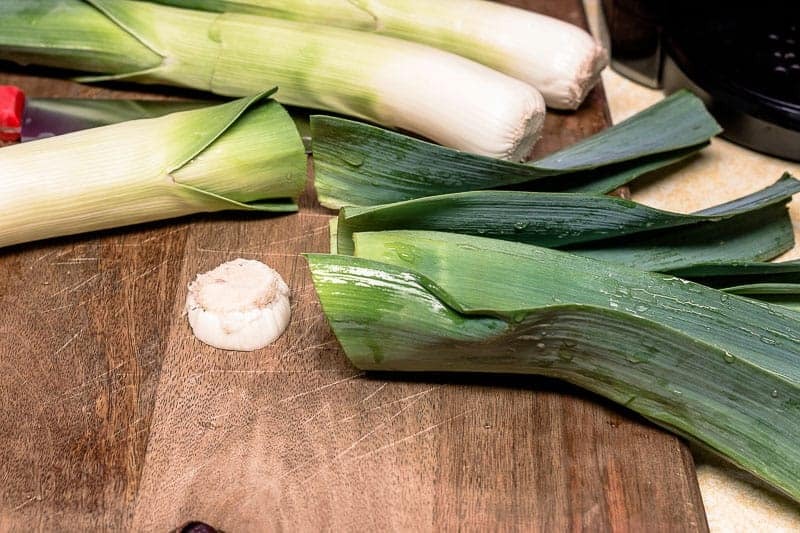 Select smaller leeks for the best flavor. 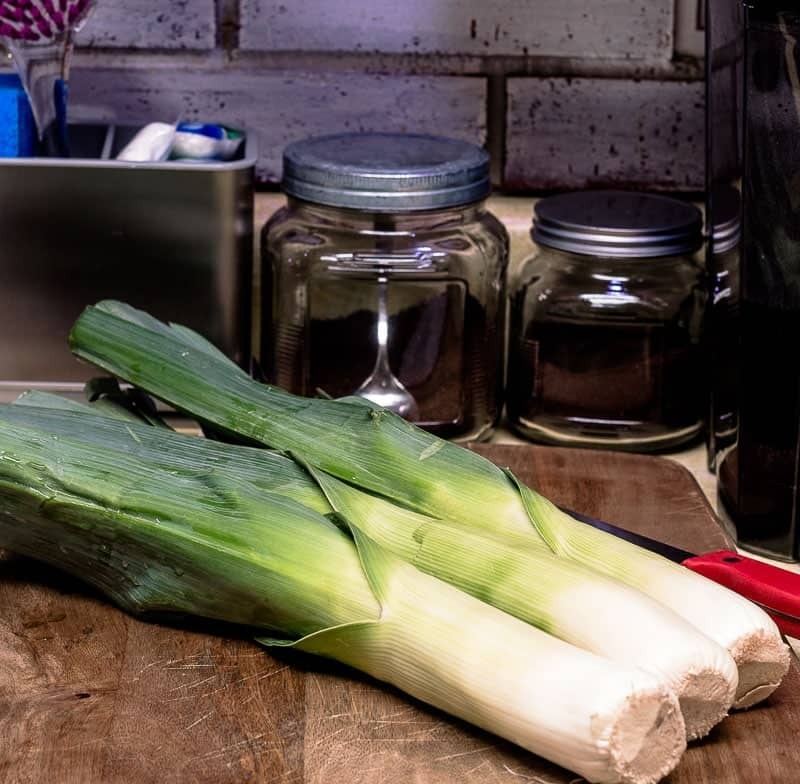 If you won’t be using your leeks right away, they may be stored, unwashed, in the refrigerator for up to two weeks. Leeks are grown in loose, sandy soil. 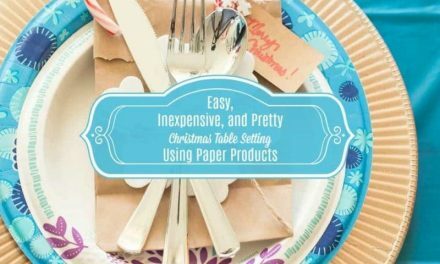 You’ll want to remove all of the dirt before slicing and prepping for the recipe you’ll be using them in. 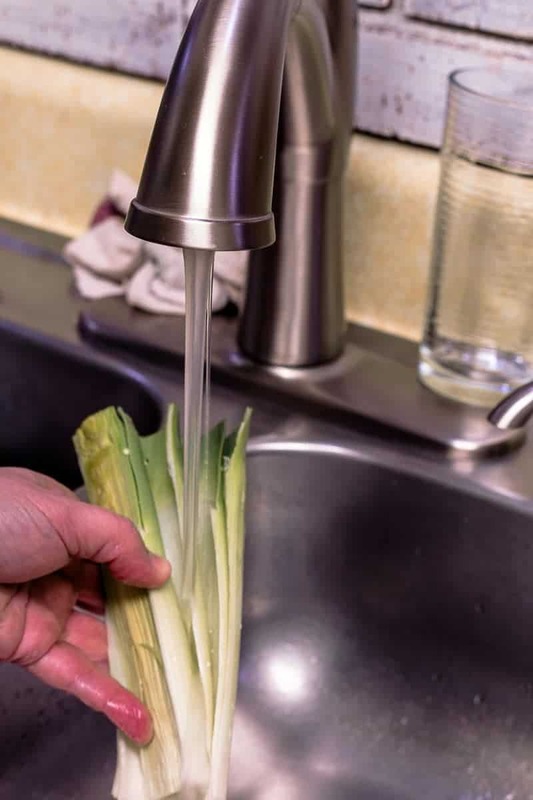 To do that, you’ll first start by rinsing the leeks and cutting off the root end and the upper, dark green portion of the leek. 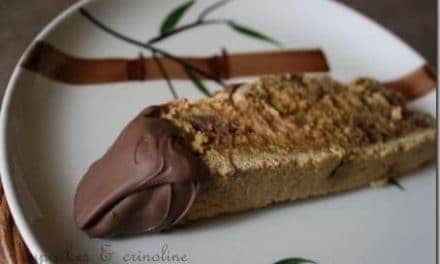 Slice the lower portion in half lengthwise. Rinse under cold running water gently fanning the leaf sheaths to allow the water to run through each layer. 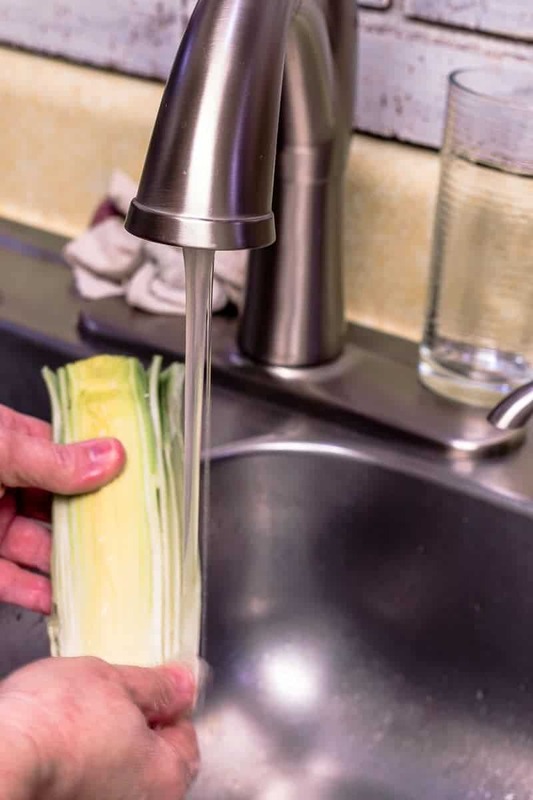 *At this point, you may prefer to place the freshly rinsed leeks in a colander to allow the excess water to drain off or move ahead with the slicing process. Place the rinsed leeks flat side down on a cutting board and slice. 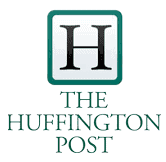 Chop off the root portion of the leek and the upper green portion. 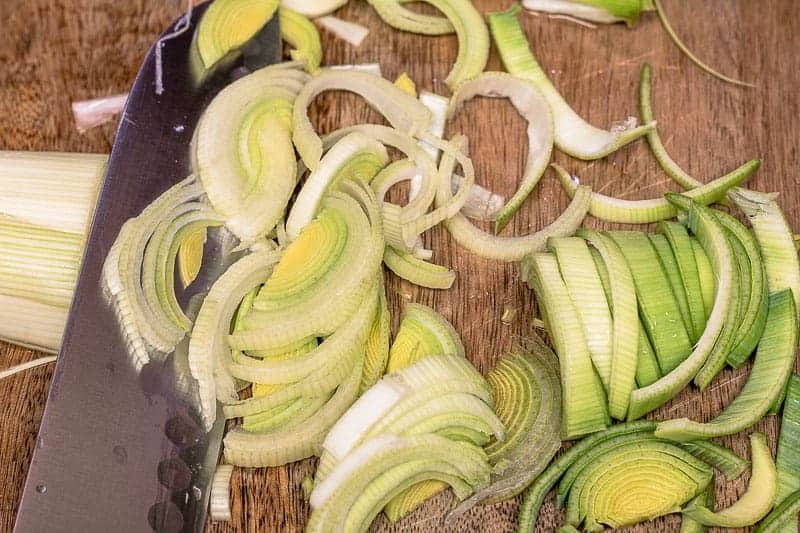 Slice leeks as desired. Place in a bowl of cool water and swish around until the dirt settles on the bottom of the bowl. Use a slotted spoon to retrieve sliced leaks from the bowl. 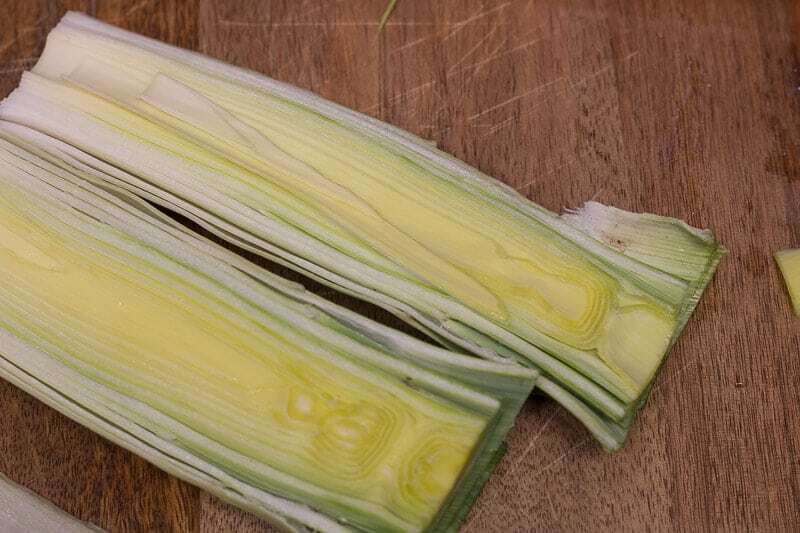 Place sliced leeks in a bowl of warm water. Using this method, the grit and dirt will sink to the bottom of the bowl. That’s it! A simple process for a vegetable that will add delicious flavor to even basic recipes. 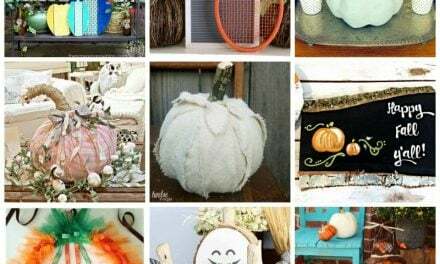 You can check out some of my other Kitchen Hacks here.